This antiskid floor coating system has excellent flow properties leaving a sealed surface. 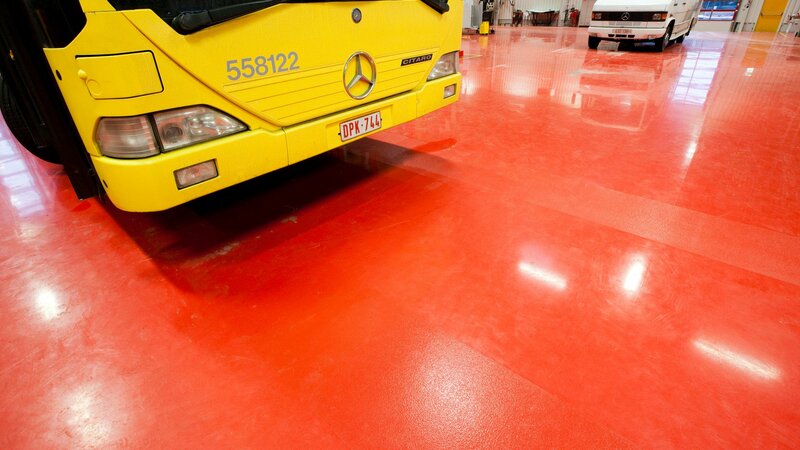 This selflevelling shop floor saturated with quartz is suitable for medium fork-lift truck traffic and comes out well in wet and oily conditions. And: seamless, durable, impermeable to fluids, low-maintenance and applied on site by own specialists. 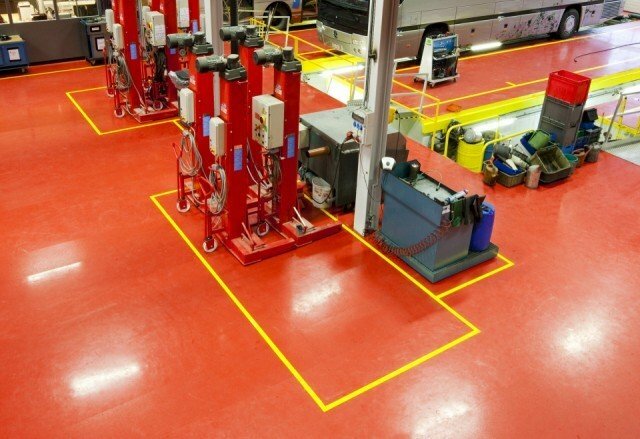 Bolidtop 500 RF is a 2.7 mm thick floor finishing based on low-viscous, two component synthetic resins with little odour. The Bolidtop 500 RF which is applied in liquid form is antiskid due to the added quartz on the surface. The seamless character, the adhesion and the durability are such that medium loads such as forklift trucks and heavy pallet wagons can do their work. Bolidtop 500 RF is resistant to the most usual chemicals. A wide range of colours gives the architect many possibilities so that the floor fits into the atmosphere of the building. During hardening a permanent chemical anchoring to the surface is achieved. Bolidtop 500 RF is resistant to the most usual loads. Bolidtop 500 RF is resistant to the most usual chemicals and cleaning products. No electrical properties have been specified for Bolidtop 500 RF.